All of our cat houses come standard with insulation. Our dog houses have insulation available as an option. When selecting this option, know that the entire dog house will be insulated. Our insulation is made in the USA and is a certified product. It is called LOW E reflective insulation. R-Value is the resistance to conductive heat flow. In dog houses, conduction is only 3 to 7 % of heat loss due to the small size of the cavity. The biggest heat loss (during winter) and the largest heat gain (during summer) for dog houses is not a conductive factor but a radiation loss/gain through infrared radiation. Rather than getting into a scientific, hard to understand dissertation, simply think of it like a thermos bottle. It keeps cold things cold and hot things hot with a shallow reflective aluminum barrier. 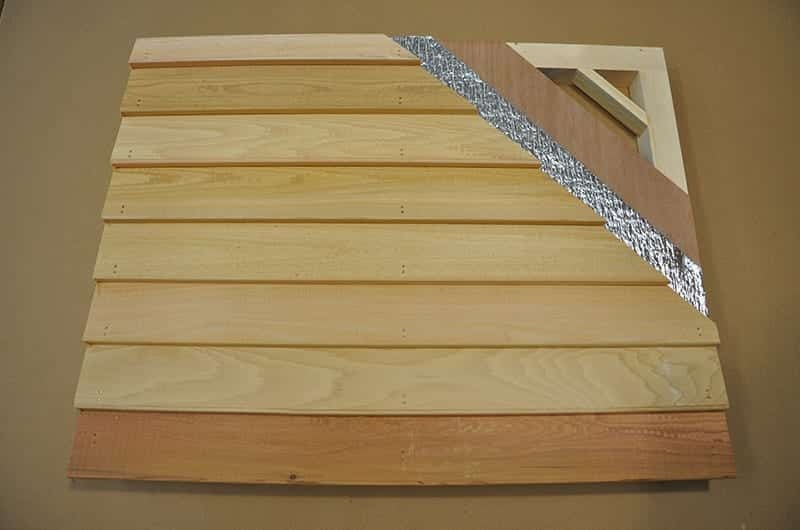 That is precisely what Blythe Wood Works LOW E reflective insulation does for a dog house, or cat house. 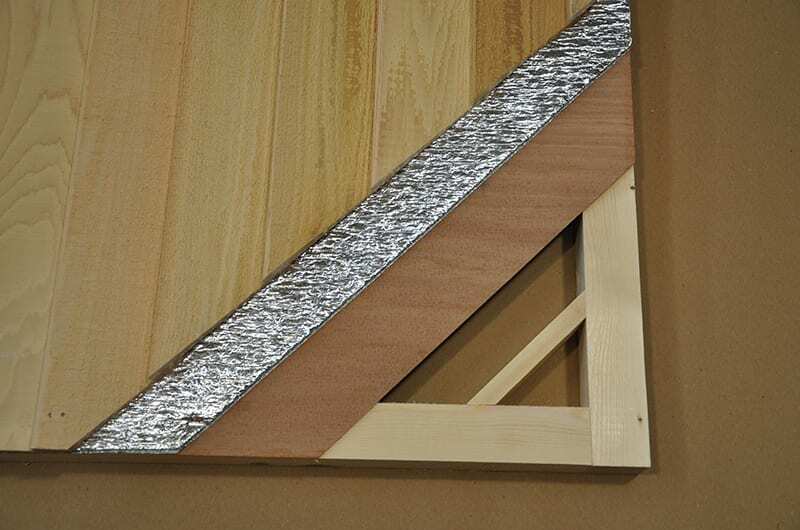 LOW E is a Class A, Class I fire rated insulation made of pure reflective aluminum on both sides with a layer of closed cell polyethylene in the middle. It is non toxic and does not become brittle, crack, flake, or collapse with age. A light weight mahogany plywood liner protects the inner cavity insulation from pet damage, ensuring long term durability. The photo shows the components of a typical insulated dog house or cat house, 2 x 2 framing, a mahogany plywood liner, two ply foil LOW E insulation and clear A grade bevel siding.